February is National Children’s Dental Health Month. The ADA, American Dental Association, runs a campaign every year to promote awareness and amp up oral health in young children. 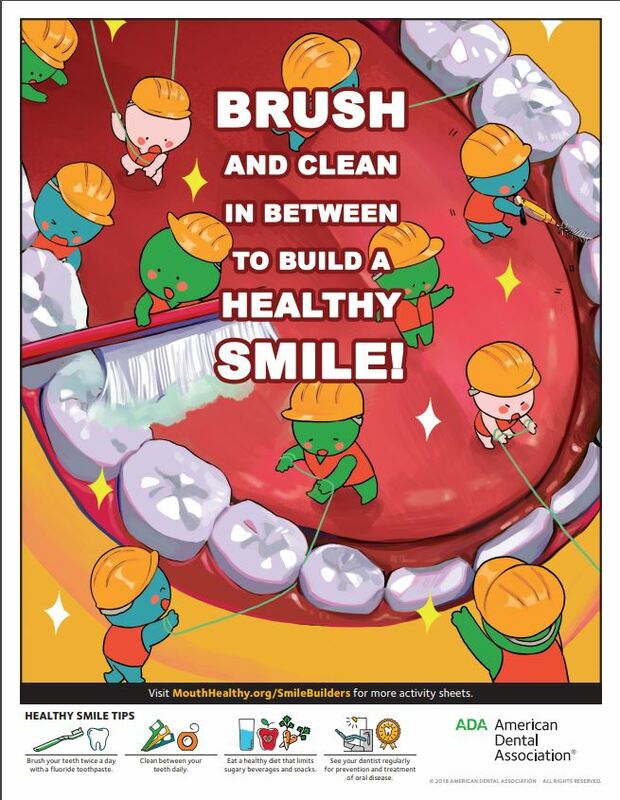 This year, the campaign slogan is “Brush and clean in between to build a healthy smile”. Here is what you need to know in order to protect your children’s teeth from early decay. What are cavities, and how do they form? A cavity is a hole in the tooth caused by decay. Leftover food mixes with saliva to create a thin film of bacteria on the teeth called plaque. Plaque contains bacteria, which can cause major tooth decay if not properly treated. Foods that contain sugar and starch, such as candy, cookies, bread, milk, sugary drinks, and more, cause bacteria which produces acid that erodes the enamel of the teeth. White spots on teeth are a sign of early tooth decay. The mouth produces natural minerals such as calcium and phosphate, which in addition to added fluoride found in tap water and toothpaste, replaces minerals and repairs the damage done by the bacteria acid. As a parent, your role is to prevent the buildup of plaque, and the erosion process, so your children’s teeth will be healthy and strong. And of course, floss in between teeth! 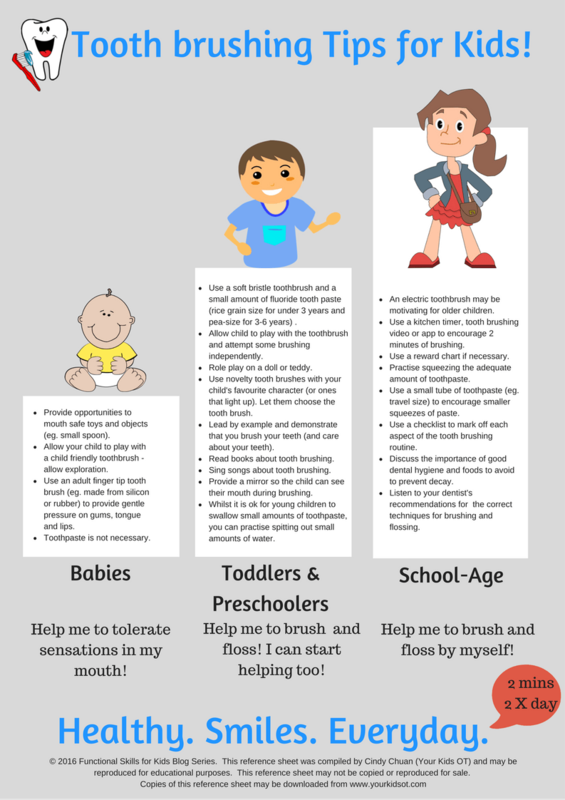 Why is oral health so important, especially in young children? Tooth health and decay prevention is important even in young babies, even before they have teeth. Don’t be lax about oral health in young children with the excuse that the baby teeth will fall out anyway. If you don’t take care of baby teeth, the adult teeth can grow in improperly and cause trouble later on. 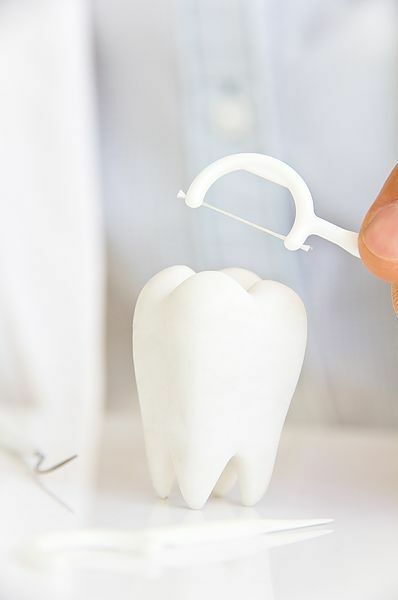 If baby teeth need to be pulled early due to erosion, the space left for adult teeth won’t be big enough, causing a child to need braces or corrective surgery. Tooth decay in children can also cause problems at school, such as pain from a toothache which causes loss of attention and focus. It can cause problems with self-esteem, and social interactions, if the child doesn’t want to open their mouth to talk or play, because they are embarrassed by the appearance of their teeth. It can also affect speech development if teeth grow in crooked due to decay. It is so important to make sure your child gets the best care they can to protect their teeth. Oral health begins even before a baby has teeth. Parents should clean their baby’s gums by using a soft bristle baby brush, or a soft damp cloth. Babies should have their first dental visit by age 1. It is in these early stages where you, as a parent, can set your child up for healthy teeth and a beautiful smile. This starts with brushing. Babies and toddlers, from when their teeth grow in, need to have their teeth cleaned regularly- just like adults. Parents should brush their children’s teeth at least twice a day, after meals and after consuming sugary snacks, and make sure to floss in between teeth. 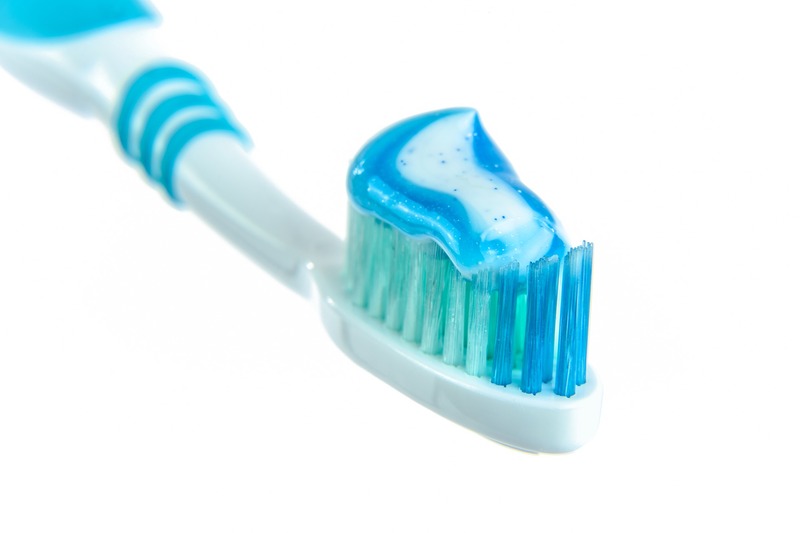 Babies and toddlers, until age 3, only need a drop of toothpaste no larger than a grain of rice. From ages 4-6, parents should brush their children’s teeth using a drop of toothpaste the size of a pea. Between ages 7-11, parents should assist children with brushing, checking that they are brushing properly, until they can adequately brush on their own. Take care that they don’t swallow the toothpaste. Make sure to brush well and remove plaque from teeth. Make sure to bring your child for check-up and cleaning every 6 months. Find out about our amazing dental staff and make an appointment today. This will greatly reduce the amount of cavities that children get, and help catch and correct tooth decay in the early stages. In order to replace minerals destroyed by the bacteria and acid, it is important that kids get fluoride, either from toothpaste or tap water. Don’t snack so much throughout the day and between meals. Limit sugary drinks and snacks to mealtimes, as when you eat your mouth uses a natural process which cleans leftover food, provides minerals, and neutralizes acid. Snacks between meals should be apples, celery, carrots, or other crunchy fruits and vegetables which naturally remove plaque from teeth. Cheese, yogurt and milk are good snacks in between meals and are good for teeth. Limit sugary drinks and snacks. Do not give fruit juice to babies under a year old, as it has no fiber or nutritional value. From age 1-3, limit fruit juice to ½ cup per day. Ages 4-6 limit to ½- ¾ cup per day. Ages 7-18 limit fruit juice to no more than 8 ounces (one cup) per day. For kids over 6 months, don’t give sugary drinks in bottles, only in cups, and aim to wean your children off bottle by 12-18 months. It will prevent a lot of decay, as drinking from a bottle allows more bacteria to stay in one place. If you give your children juice, make sure it is 100% natural and unsweetened, and limit to ½ cup per day. Do not give children sweet or sugary drinks before bed, only water, especially if you give them a bottle when putting them to bed. Juice or milk will create a bacteria breeding ground when sitting in the mouth overnight, especially because your mouth cannot clean itself when you are sleeping, which means the sugar will sit on the teeth for an extended period of time. These are all great ways for parents to ensure that their children’s mouth stay happy and healthy.